FC Barcelona has been the most dominant team in Europe over the past decade and have not been in their best of form this season. They sit 2nd in La Liga and might end up 3rd as Real Madrid have a game in hand. Third will be Barcelona’s lowest position since 2008 when they finished in the same position, a disappointing 10 points behind 2nd place Villarreal and 18 points behind champions Real Madrid. The reign of Pep Guardiola from 2009-2012 was the highlight of Barcelona’s dominance. They had to contend with Tito Villanova who was Pep’s assistant. He battled with cancer during the 2012/2013 season and had to quit the job to seek further treatment on the ailment. 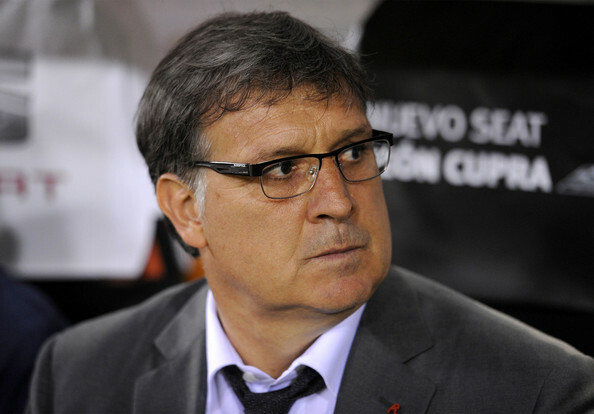 The summer of 2013 saw the arrival of Argentine Gerardo ‘Tata’ Martino in Camp Nou. He is well known is South America. He Coached Paraguayan Primera Division clubs Libertad and Cerro Porteno as well as Argentine Primera Division club, Colon between 2002 and 2006. He was the manager of Paraguay between 2006 and 2011. He won the South American Manager of the Year Award in 2007. 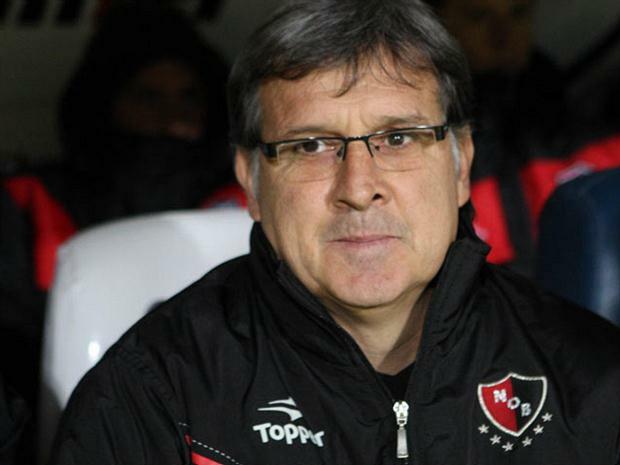 Martino became manager of his boyhood club, Newell’s Old Boys in 2012. The club based in the Argentine city of Rosario is where Tata was born and raised. He spent 10 years as player for Newell’s and is regarded as one of the clubs greatest players having amassed 505 official appearances which is a club record. He led Newell’s to the 2013 Clasura title as well as to the semifinals of the Copa Libertadores (South American version of champions league). He won a total of 5 major trophies across South America. The era of Pep is gone and getting the right manager has not been easy. Vilanova’s battle with cancer never made the world to really see what he was made of. 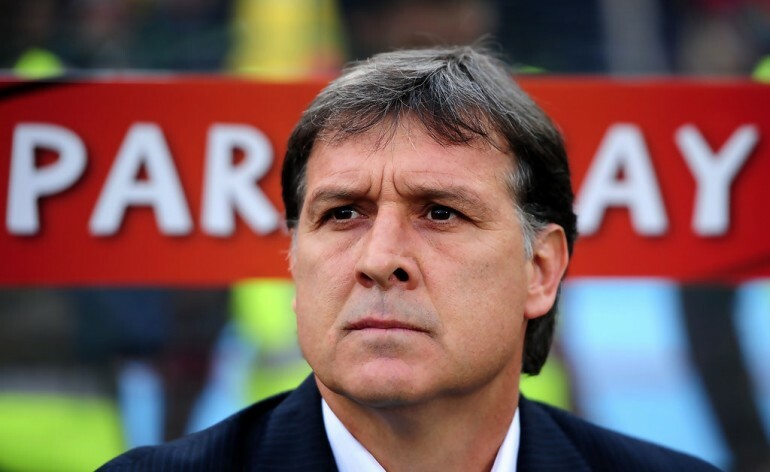 Getting Martino who was unknown in Europe raised some eyebrows but his credentials in South America might have given him the nod for the job in Camp Nou. He adheres to the principles of ‘tiki-taka’, Barcelona’s tactics, as seen in his time with Newell’s though he adds other dimensions to the tactics. Tata had a great start to the season winning the Spanish Super Cup against Atletico Madrid in tough manner and an emphatic league opening 7-0 win against Levante. Barcelona sailed well to start the season and did well in the champions league group stages too. 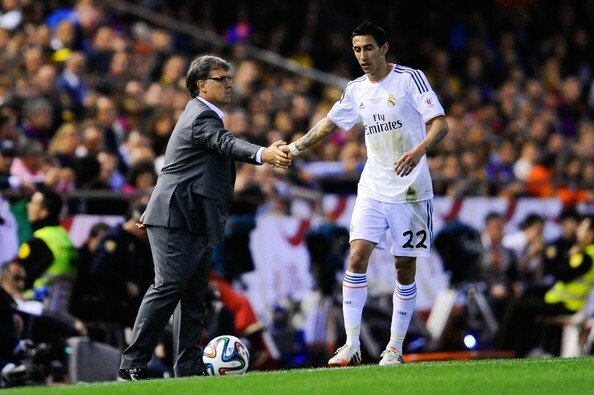 A problem Martino faced was that some of his players were not fit as injury concerns rocked the team. Neymar being the only major signing of the summer meant Barcelona did not strengthen especially in Defence. Barcelona have a small squad and the last thing you would want to see is Messi, Neymar, Pique, Puyol, Jordi Alba, Victor Valdes injured when there’s no adequate cover. Transforming midfielders Mascherano and Song into makeshift defenders never helped Barcelona from Pep’s days. These where some of the things Tata had to face especially Messi’s 2 month injury layoff. 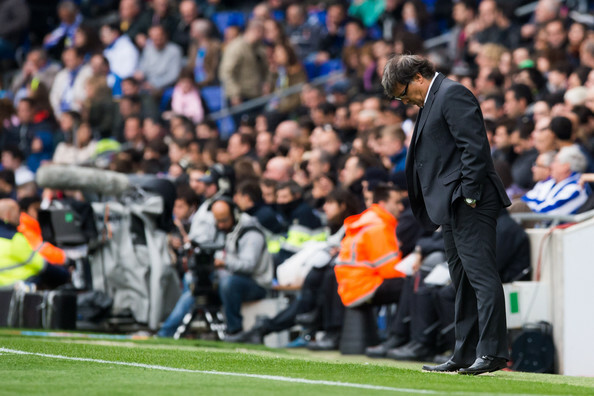 The results kept coming in for Barcelona, including an ‘El Clasico victory, which means Tata was doing well until Barcelona’s 1st league defeat against a strong Athletic Bilbao on December 1, 2013. Barcelona had been leading the table all that time but closely chased by Madrid’s big two, Real and Atletico Madrid. Despite Barcelona’s smooth start to the season, the media was not far off in bringing reports that Barcelona fans were not happy with Tata as he had altered the team’s tactics. 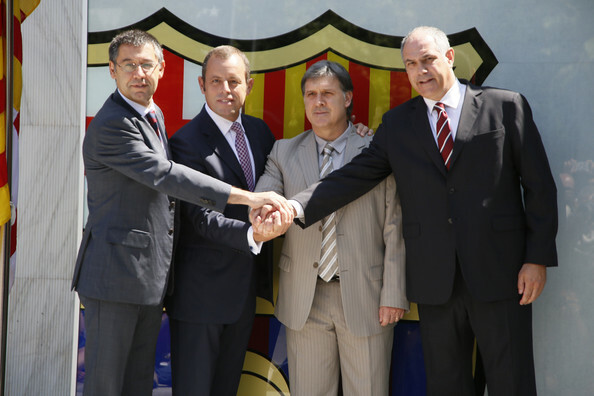 Martino too was reported not to have been happy because of the pressure and was said to leave at the end of the season. Those reports are still circulating. 2014 started well for Barcelona with course Real and Atletico Madrid still chasing. February 1, 2014 saw Barcelona have their first loss at the Camp Nou in 2 years against a determined Valencia. Trouble for Tata now because real and atletico closed the gap. Further defeats to Real Sociedad, Valladolid and Granada dropped Barcelona to 3rd place on the log. Defeat to league chasers Atletico Madrid in the champions league quarters finals, the Catalans earliest exit since 2007 in the first knockout round against Liverpool meant that Barcelona failed to get a single victory against Atletico Madrid in 5 meetings this season. Like that wasn’t miserable enough, Barcelona lost the Copa Del Rey final to Real Madrid. Good season start gone bad for Barcelona and the blame for such a woeful season goes to who else but Martino. Questions have been raised towards Martino like why was someone who never had any previous European experience suddenly given the job at Camp Nou? Is it because Messi is from Martino’s town Rosario that he was appointed? 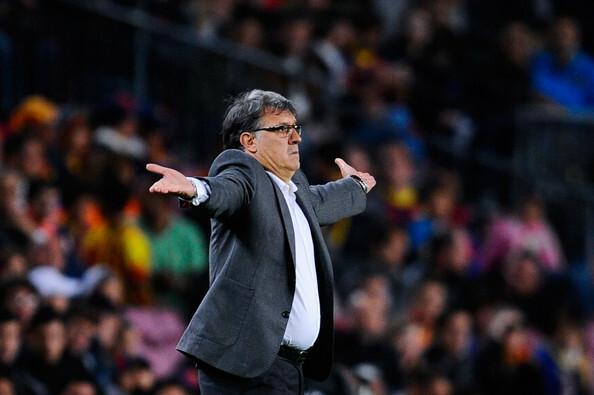 Why has Martino altered the tactics that made Barcelona dominant? Why didn’t Barcelona just pick another coach within the club? At least he will know the ins and outs following the success of Pep and Tito. Fans are angry and the unending reports of Tata’s proposed eminent exit all point to saying that Tata is not the right man for Barcelona and he needs to leave the Camp Nou but is that really the right step and decision to take? Is the sun shining on Sunshine Stars again?